A group of young people work with their counselor, Emily Schreer. The children include Vanessa Mazzei, 8, Danna Hernandez, 9, Kevin Kantoral, 9 and Gabriel Baravas, 9. 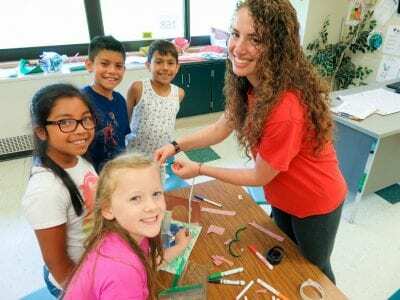 Photo by Eric Gross Dozens of children who otherwise might have spent their sum… Please login below or purchase a subscription to the Putnam County Courier to access this content. 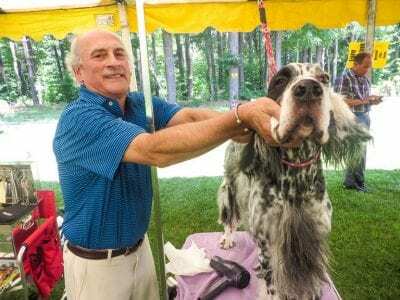 The Putnam Veterans Memorial Park became a haven for dogs last weekend when the Putnam Kennel Club conducted its annual dog show. 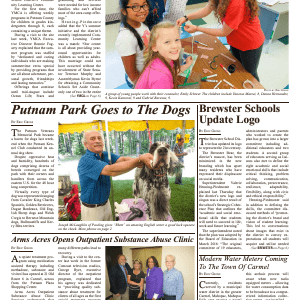 Despite oppressive heat and humidity, hundreds of dogs comprising dozens of breeds converged on the park with their o… Please login below or purchase a subscription to the Putnam County Courier to access this content. The Brewster School District has updated its logo to represent the 21st century. The Brewster Bear, the district’s mascot, has been minimized in the new branding which has upset many residents who have expressed their displeasure on social media. Sup… Please login below or purchase a subscription to the Putnam County Courier to access this content. Currently, residents served by a municipal water district in the greater Carmel, Mahopac, Mahopac Falls area receive a postal card from the Town of Carmel requesting a reading of the homeowner’s water meter. The resident jots down the numbers taken f… Please login below or purchase a subscription to the Putnam County Courier to access this content. Ice Cream Studio 105 Opens! 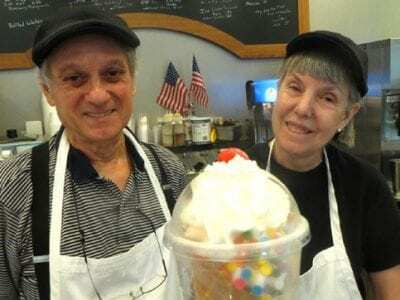 Jim and Patty Turco have opened Ice Cream Studio 105 in an appealing building at 105 Towners Road in Lake Carmel. Photo by Eric Gross Retirement was not in the cards for Patty and Jim Turco. Following successful careers, the Carmel couple decid… Please login below or purchase a subscription to the Putnam County Courier to access this content. Putnam Deputy Director of Veterans Affairs Art Hanley received a phone call Friday morning from Congressman Sean Patrick Maloney. “Within seconds, I jumped for joy,” recalled Hanley after learning from the Cold Spring lawmaker that after “working the… Please login below or purchase a subscription to the Putnam County Courier to access this content. 4-H Fair Time Has Arrived In Putnam! The Rev. 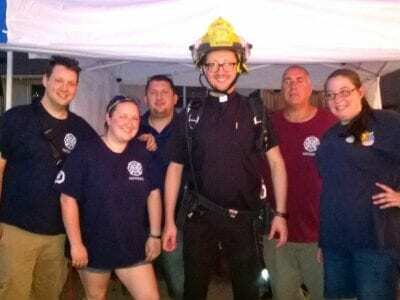 Simón Kurpios (center) was fitted with turnout gear by members of the Carmel Fire Department last week at the annual St, James Church Festival. Large crowds attended the four day fundraising event that featured something for everyone. When m… Please login below or purchase a subscription to the Putnam County Courier to access this content.